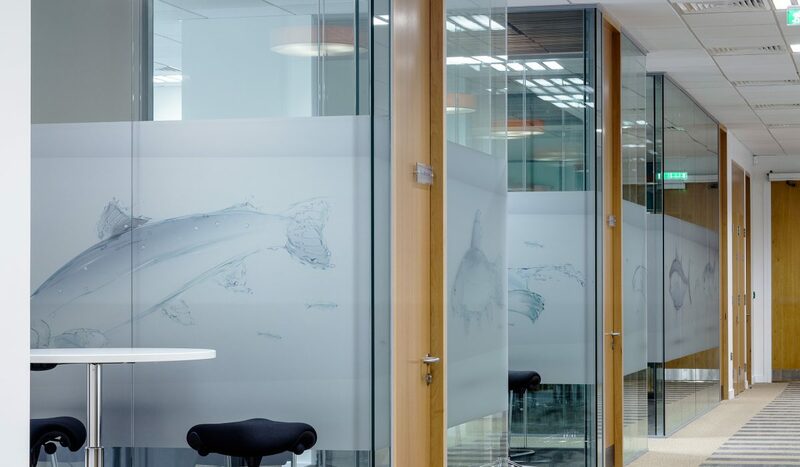 DMOD were appointed as architects & design team leaders for the selection of new premises for Inland Fisheries Ireland, a semi-state organization in early 2013. We spent a number of months assisting in their evaluation of available properties, ensuring that the selected property would be of the highest quality, and demonstrating the fit of the IFI accommodation brief into each. 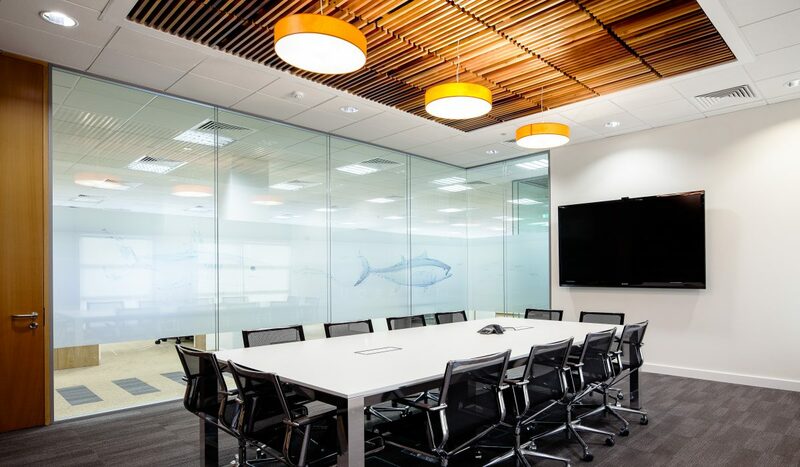 IFI opted for a move from a very cellular environment to a fully open plan design, and DMOD ensured that the final design delivered the mix of open plan workspaces with formal & informal support spaces to ensure the successful operation of the organisation in their new environment. DMOD with the design team, procured and delivered the project through the state procurement processes and through the Government form of contract. As part of the move to new premises IFI needed the design to formally integrate independent business units which formerly operated as independent organisations in dispersed premises. In addition to this unit integration, as part of developing the brief it was decided in consultation with the IFI senior executives to move to a full open plan configuration. Leadership from the top, buy-in and commitment form the CEO down were essential in delivering this solution. The other key component was the delivery of appropriate support spaces to allow the concept to work. 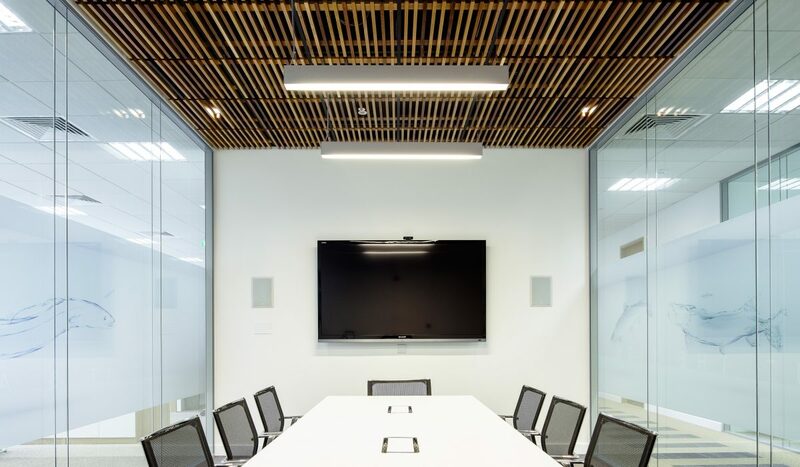 This included team project / meeting rooms, and a dispersed series of quiet rooms for report review & writing, teleconferencing etc. 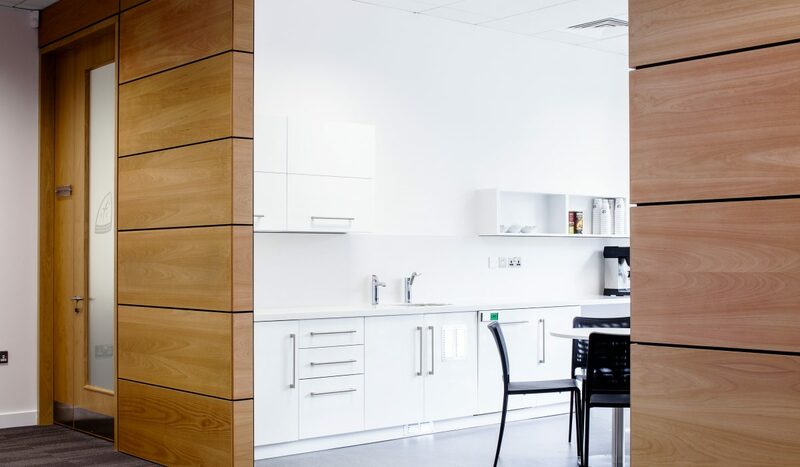 All this allowed staff to understand that the perceived problems associated with open plan could be successfully managed, and in the end there would be better facilities and functionality for all staff. Now almost six months in the new offices, our clients are highly satisfied with their new work environment. The debate about open plan versus cellular office is forgotten, and staff all see that the final design responds to their needs allowing them to work in a better more integrated way than was ever possible for them before.